One of the wonderful side benefits of teaching Krav Maga, is the travel. I very much enjoyed my brief trip to Ukraine. I enjoyed observing the people, their culture, their food and music. 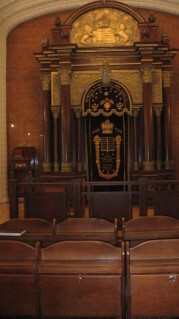 Once this country had a very large Jewish population, that of course changed during the Holocaust, but there are some small signs of Jewish life. 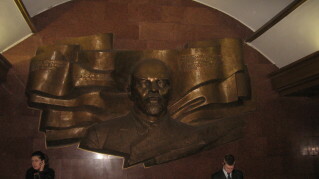 Vladimir Ilyich Lenin, the subway. 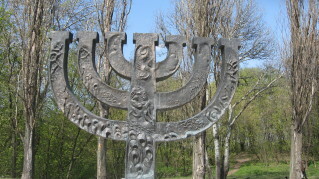 In 1941 the massacres began at Babi Yar. 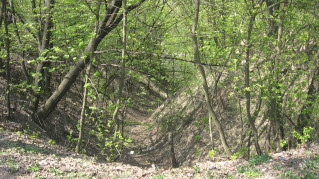 In two days nearly 34,000 Jews were murdered here. 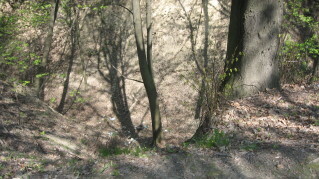 Over the next two years more than 100,000 people were murdered at this spot, the vast majority were Jews. My first order of business was to visit this site and pay my respects. 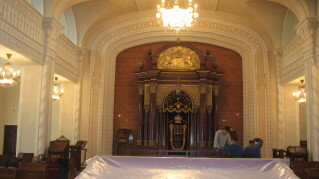 I stood where so many Jews breathed their last breath and I recited the Kaddish for them. It was a chilling feeling for me. Today it is so peaceful, the birds are singing, but I saw, in my mind, thousands of frightened Jews being lead to their graves. Here they stood and here they died. And not a word tells their story here. 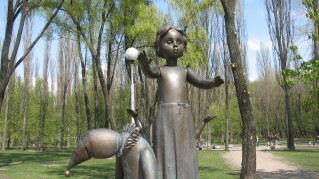 "Broken Toys", Memorial to the many children murdered by the Nazis and their Ukranian collaborators. 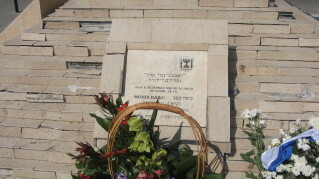 Memorial stone left by government of Israel. 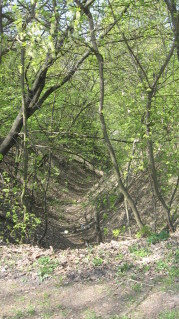 At these ravines, today a pleasant park, countless of thousands of Jews, as well as mental patients and other 'undesirables', stood naked and were machined gunned down to the ravine. 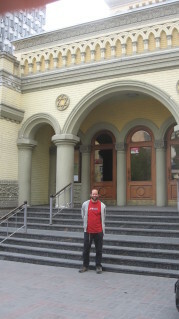 The seminar was held at the International University. Close to 30 participants came from all over the Ukraine and from Moscow. Some traveled as much as 800 kilometers to be here. 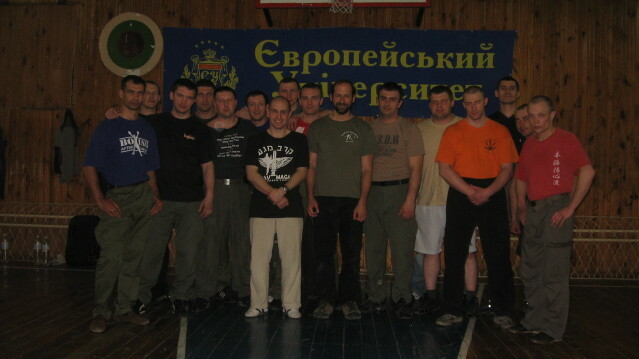 The seminar took place over two days and included 15 hours of training plus 2 hours of VIP protection training. 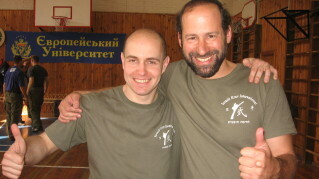 with Anton Farb, IKI Instructor. 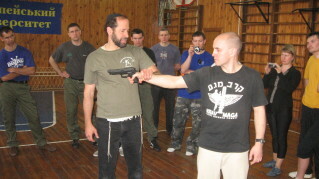 Elite guards training in krav maga knife defense. 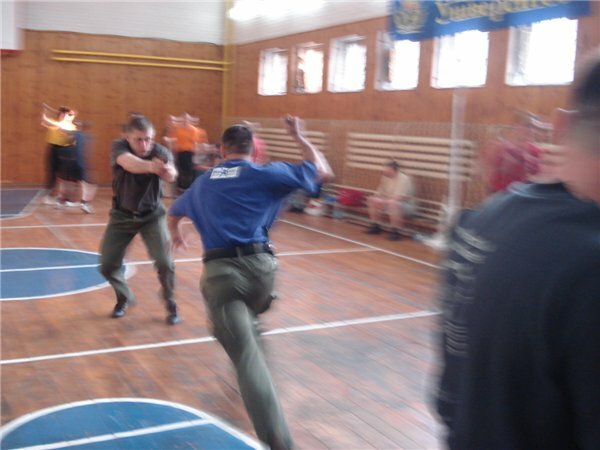 VIP security guards, 17 hours of intensive Krav Maga training in Borshagovka nieghborhood, Kiev. Gifts from guards, some of whom are shooting champions of Ukraine. 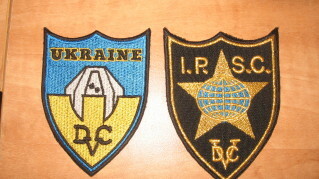 These are patches from shooting clubs.